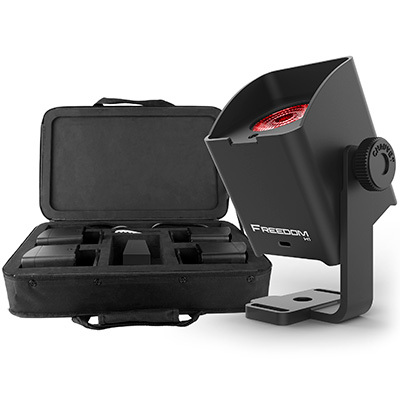 Contained in a standard par-sized case constructed from robust moulded plastic, the FXpar 9 features a powerful central tri-colour COB LED capable of creating smooth wide-spread colour washes. 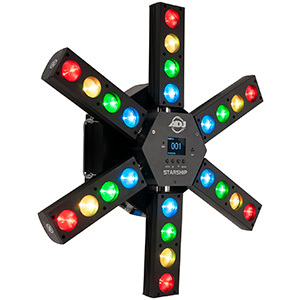 This is then surrounded by a ring of 21 cool white SMD LEDs that generate an intense strobe effect. 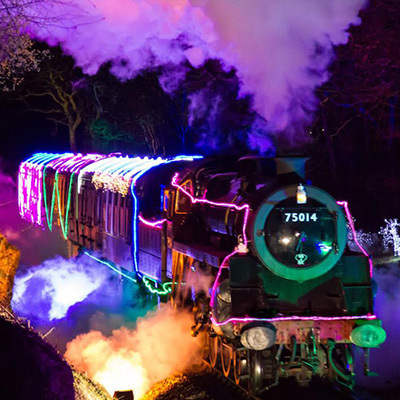 These are then in turn surrounded by a circle of nine quad-colour RGB+UV LEDs designed to create eye-catching chase effects. 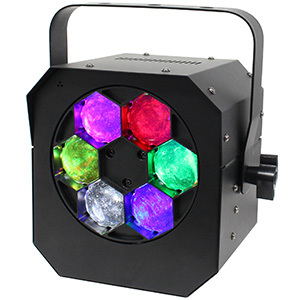 The versatile fixture can function both as a subtle wash, bathing any room or event space in lush saturated colours, and also as a real dancefloor demon, where its searing output, strobe effects and independent inner and outer ring control can help to transform the atmosphere of any party. 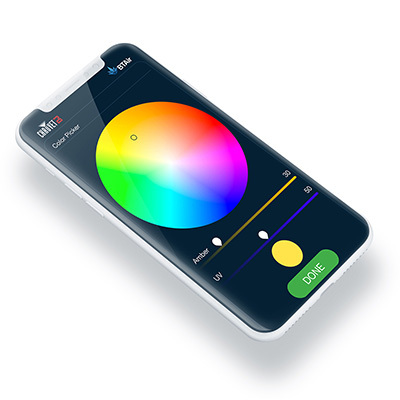 In addition to the fixture’s extremely wide coverage area, the inclusion of UV gives a virtually unlimited colour palette, allowing DJs to create all kinds of interesting looks. 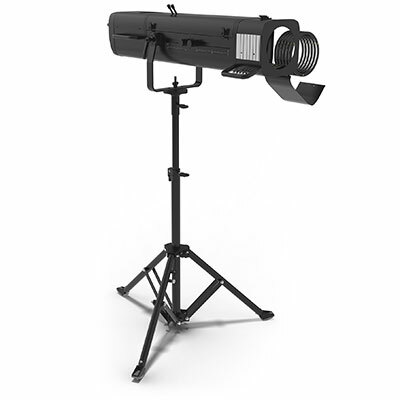 The fixture features a dual-yoke that can either be used as a floor stand or a hanging bracket and is fitted with both IEC input and output sockets to allow the power supply for multiple fixtures to be linked together. 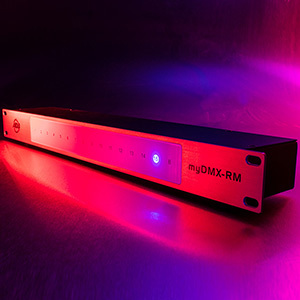 For full control of all of the FXpar 9’s varied features, the unit is compatible with DMX utilising a choice of 2, 6, 9 or 22 control channels. 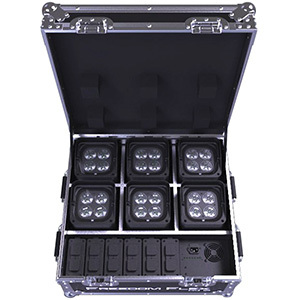 Meanwhile, for more simple control, the fixture is also compatible with CHAUVET DJ’s IRC-6 infrared remote. 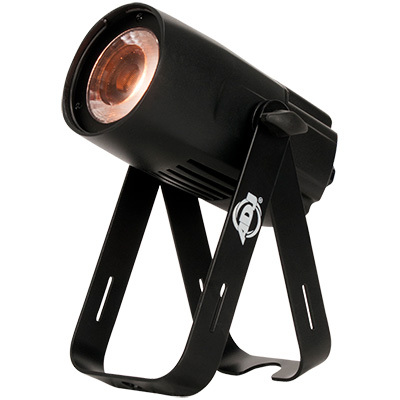 The CHAUVET DJ FXpar 9 is available now with a street price of approximately £160.